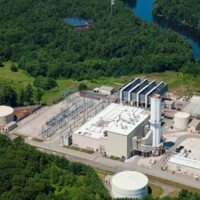 The Bellingham Energy Center in Bellingham, Massachusetts. 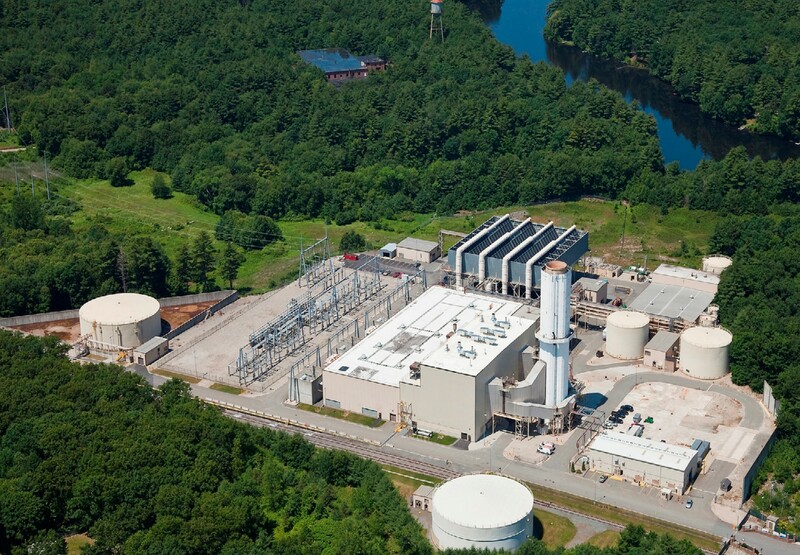 Built in 1991, the facility is now owned and operated by NextEra Energy. A slip stream of exhaust gas is exported to a carbon dioxide-recovery unit to achieve QF status, as required by the Public Utility Regulatory Policies Act (PURPA), and thereby, exempting it from the Fuel Use Act of 1978 (FUA). This was the first major project sold by Westinghouse Electric after the relocation of its Power Generation Business Unit (PGBU) to Orlando, Florida, in 1987. Digital reproduction of original color photograph, 1998: NextEra Energy, Juno Beach, Florida. NextEra Energy, Juno Beach, Florida. Originally published by NextEra Energy. NextEra Energy and is provided here by RICHES of Central Florida for educational purposes only. "Bellingham Energy Center." NextEra Energy. http://www.nexteraenergyresources.com/pdf_redesign/Bellinghams.pdf. “Bellingham Energy Center.” RICHES of Central Florida accessed April 25, 2019, https://richesmi.cah.ucf.edu/omeka/items/show/7754.